Columbia, South Carolina’s SPACE COKE are to psyche-infused fuzz rock what the nation of Columbia is to providing cocaine itself to illicit global markets. 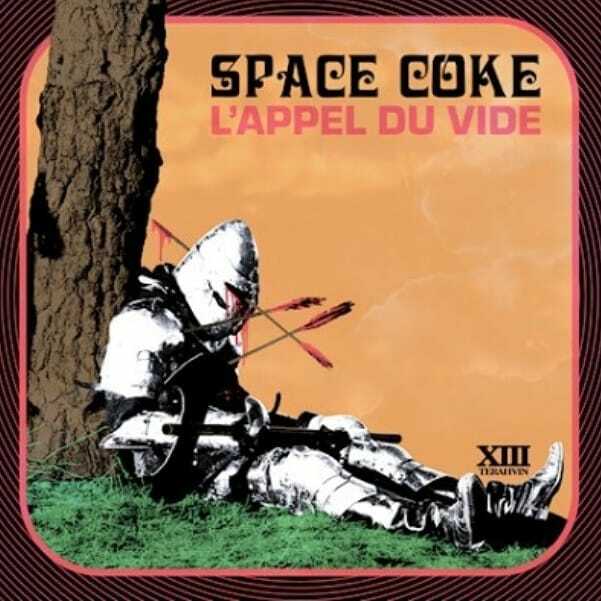 Rife with high quality riffs, pure rhythms that do the stomping, and altered consciousness type vocals, the band SPACE COKE are poised to get the whole world high with their imminent full-length début, ‘L’Appel du Vide‘. Today, Riff Relevant is in its own spaced state as we deal out the exclusive premiere of the ‘L’Appel du Vide‘ title track to you, along with the album details. The follow-up to two previous EP releases, early 2018’s ‘South Cackapulco Gold‘ and 2017’s ‘Neil deGrasse High‘, the ‘L’Appel du Vide‘ release will arrive on December 7th, via Mystery School Records. Take notice, the track list consists of six original compositions as only SPACE COKE can render them, along with a pair of covers of Velvet Underground and Stevie Wonder songs. That’s an “8-ball” of sonic dope to cook up and dish out from the state of South Carolina, my friends. Just intake ”L’Appel du Vide” via the Soundcloud embed below, it will serve as a powerfully intoxicating sample of what heavyweight spaciness awaits when the album does arrive in December.